Here at the Great Lakes Trade Adjustment Assistance Center (GLTAAC) we believe in the power of public-private partnerships to get things done. A new public-private partnership will be launching soon in Detroit to the benefit of the tri-state region we serve – Michigan, Ohio and Indiana. ALMII’s mission is to serve US manufacturing by enabling cost effective light-weighting of components for several industries. The institute’s efforts will encompass the entire transportation supply chain, nurturing innovations from conception through design, development and production. While its location at 1400 Rosa Parks Blvd. is not yet open, it is expected to be operational before the end of 2014. Meanwhile workshops and planning sessions are already scheduled and will be held at other locations such as the Detroit Regional Chamber of Commerce. 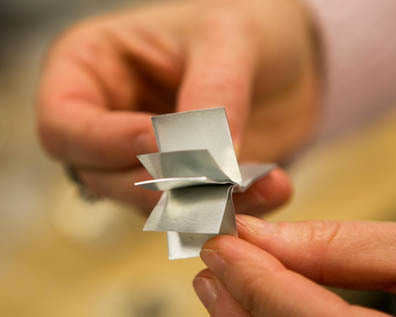 Lightweight materials are increasingly important to the competitiveness of manufacturing sectors, especially transportation sectors such as shipping, rail, aerospace, automotive, heavy trucks and military vehicles. If the weight of vehicles can be reduced, they may be able to carry larger loads and travel the same distances at lower costs and with fewer carbon emissions. For example, according to ALMMII’s website, in a commercial aircraft, every pound reduced saves $200. For a spacecraft, it saves $20,000. For a passenger vehicle, a 10% weight reduction leads to 6% fuel economy savings. This month, (October 2014), Ford Motor Co. is in the midst of converting its best-selling pick-up truck – its most profitable product, the F-150 – from a steel body to lightweight aluminum. Ford estimates each new pick-up will weigh 700 lbs. less than the steel version. When one sees the company’s 2.6 million square foot Dearborn, Mich., truck plant shut down, with workers ripping out old lines and replacing them with all new equipment for all new processes – one realizes the importance of lightweight materials is not a thing of the future. It is now. And after the Dearborn plant is converted, Ford will convert its second F-150 plant in Kansas. Ford produces an estimated 650,000 F-150s annually. This is a major undertaking, especially significant because no automaker has attempted such a large-scale change to new materials. “The new truck entails a delicate balance of procurement, handling, metal forming, bonding and testing unlike any other product Ford has ever produced at this scale, “ said Adam Jonas of Morgan Stanley in a July note to investors. 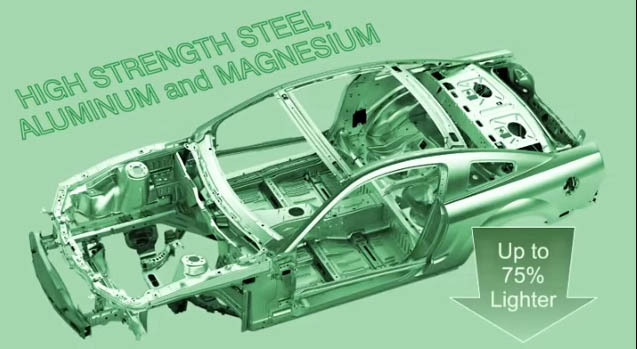 Jay Baron, president of the Center for Automotive Research in Ann Arbor, Mich., said, “aluminum is less formable than steel. You can’t bend it as much.” Baron says, “the window of the process is tighter.” Staying within tight tolerances is typically hard to do at high speeds, and Ford must ramp up to 60 jobs an hour, 7 days a week. Spot welding is robust. Aluminum requires high precision. You can work on dirty steel that has oil on it. Cleanliness is much more important with aluminum. Unlike steel, aluminum can splinter when stamped. Rather than the single process – spot welding—used on steel, Ford will be using a variety of ways to join aluminum parts together. Baron estimates there may be 10 – 15 different kinds of rivets. The details of the Ford F-150 conversion make it clear that the need for ALMMI is real. 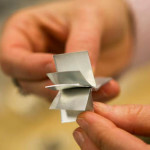 Last year, the U.S. Navy issued the solicitation to the competitive bid process under the title of “Lightweight and Modern Metals Manufacturing Innovation.” The Department of Defense award for the ALMMII is $70 million in federal funding to be distributed over five years, and that award will be matched by at least $78 million from the consortium partners. Cost share commitments already announced include $10 million from the Michigan Economic Development Corp (MEDC), $10 million from the state of Ohio and $1 million from the New Economy Initiative, a Detroit-based non-profit. linking education, outreach programs and professional societies to raise awareness of lightweight metals and manufacturing needs. “$140M Prize: State Wins Manufacturing Institute,” www.freep.com, Feb. 22, 2014. Quotes and data from Automotive News, Sept. 8, 2014, Crain Communications, pg. 41.